Dr. David Leroy Talent, Ph.D. was born April 1, 1952 in Springfield, Missouri. He was the first child of Kenneth Eugene and Ruth Pauline (Larson) Talent. He had three younger siblings. David was a brilliant Space Physicist, considered by many as the father of Space Debris Science. He received his Bachelor of Science Magna Cumm Laude in 1974 from Missouri State University; his Master of Science in Physics in 1979 followed by his Ph.D. in 1981, both from Rice University in Houston, Texas. His 2-year post-doc was executed at the Yerkes Observatory of the University of Chicago. For those two years he held the position of William Gaertner Fellow in Astronomy. Over the 35 year period that followed, David worked for companies large and small: Lockheed; Boeing; Oceanit Laboratories, Inc.; and ARES Corporation. In addition, he worked as a scientific consultant on one movie script, several books and television productions. He held a SECRET level US security clearance for 24 consecutive years. He has over 50 scientific publications in respected scientific journals. He holds one US Patent for a computer model that may be used to project the growth of the orbital debris population and resulting increase in collisional risk to valuable space assets. He was a proficient programmer in FORTRAN, BASIC, FORTH, C++, and JAVA. David served, full-time, on the faculties of Abilene Christian University and Texas A&M University, Galveston, teaching Astronomy, E&M, Optics, Modern Physics, Statistical and Thermal Physics, College Physics, University Physics, Astronomical Imaging Techniques, Optical Spectral Analysis, Advanced Mathematical Methods for Scientists and Engineers, Statics and Dynamics for Engineers, Shipboard Automation and Control, Shipboard Power Systems, Algebra, Trig, and Calculus. 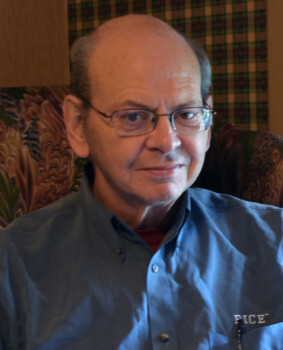 In addition, he taught as an Adjunct faculty member at Gateway Technical Institute in Wisconsin, San Jacinto Main Campus in Houston Texas, San Jacinto- South Campus in Houston, Texas, Rice University in Houston, Texas, University of Houston -- Central Campus, UH-Clear Lake Campus, College of the Mainland near Houston, Texas, and Baylor. While in Abilene, he wrote a weekly newspaper column on Astronomy for the Abilene Reporter News and hosted a weekly "Science in Our Community" spot on KRBC-TV. He was a fully qualified and FAA licensed private pilot for single-engine, fixed gear, VFR. He has been honored by NASA/JPL, and Asteroid 33154 (Talent) was so named in his honor for work performed at the Maui Space Surveillance facility on Haleakala on a joint effort for the USAF, NASA, and the NRO. On one occasion, while working for Lockheed-Martin at NASA-JSC in the 1990s, David personally stood up during a high level emergency meeting at JSC and advised NASA NOT to launch a Space Shuttle mission as scheduled but, rather, to hold off a week due to extreme uncertainty in the activity level of the Perseid Meteor Shower for that year. He was later told that his input had been pivotal in the decision by David Leetsma (astronaut) in choosing to postpone the launch. He may well have saved both the vehicle and the lives of the crew. On yet another occasion, David volunteered to travel alone to a location in Mexico to obtain photograph data for NASA of the reentry of the SEDS-II end mass package after NASA's official request to set up a radar station was denied by the Mexican government. His "secret mission" was also executed without the prior knowledge or consent of the U.S. State Department. His mission was a success; he got the data. He was preceded in death by his father. His mother died less than 12 hours after the recorded death time of her first child, David Leroy Talent. He is survived by two sons Aaron Talent of Friendswood, Texas and Byron Talent of Alvin, Texas; one brother Steven Talent of Mesa, Arizona; two sisters Rebecca Talent Archer of Ash Grove, Missouri and Katherine Talent Loffler of Galena, Missouri and one grandchild. 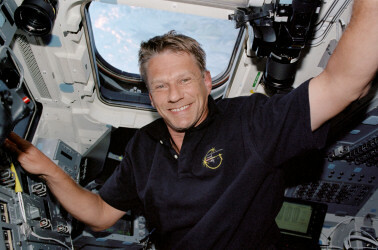 As per Davids wishes, his remains were cremated and will be buried with his parents in Springfield, Missouri at the Greenlawn South Cemetery, in section H.
Astronaut Piers Sellers passed away Dec. 23, 2016 in Houston of pancreatic cancer. Sellers flew on space shuttle missions STS-112, 121, and 132, helping complete construction of the International Space Station, and served for several years as acting director of the Earth Sciences Division at NASA's Goddard Space Flight Center in Greenbelt, Maryland. His research on biosphere-climate interactions has been cited thousands of times, and he spearheaded numerous major earth science missions at NASA which are still bearing fruit decades later. He was a long time supporter of the Mars Society of Houston, and MAST President BeBe Kelly-Serrato remembers him as a kind and humble man who often shared lunches with NASA staff and didn't let his astronaut status go to his head. "He was just cool and loved people."